Its persimmon season now and I am delighting at all the wonderful ways to include them in my daily diet, besides eating them out of hand. 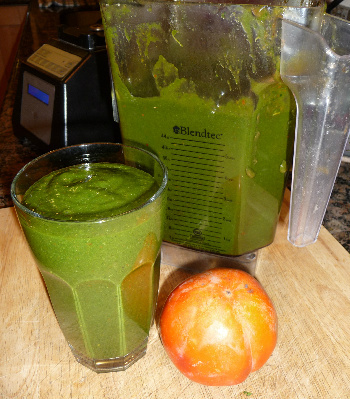 This creamy smooth persimmon and spinach goodness is really amazing. 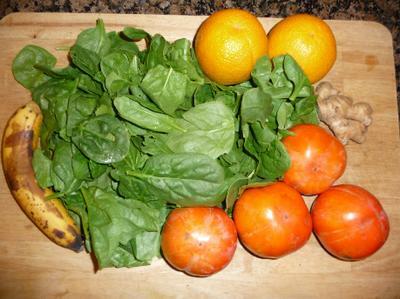 Two of my favorite foods brought together making a wonderful breakfast or anytime green smoothie. I add the oranges for the water content, the banana for calories and a little body, and the ginger for zip. Small chunk of fresh ginger root.